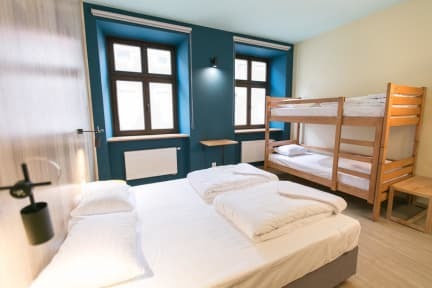 Really nice hostel right in the center of Lviv. You can walk anywhere you need to go. There was not much of an atmosphere to meet other travelers, and there were quite a few old people staying in our room. 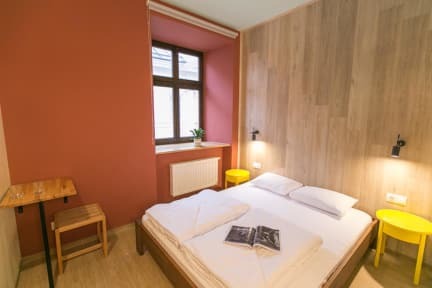 The hostel is very clean and the staff is all friendly. All you need in terms of bed/room, washroom and kitchen facilities (big, modern & clean). Also perfectly located on the edge of Market Square. Feels more like a hotel than a hostel (depending on season) so atmosphere can be a little low, particularly with its many floors and separated room sections.